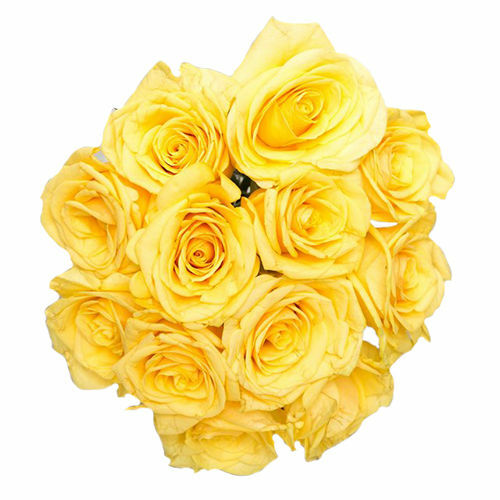 An elegant hand-tied bouquet of 12 long stemmed yellow roses, arranged perfectly for that very special someone. He/She will be impressed by your good taste of choice. I must say that you are having awesome turnaround time,I order these rose aroung 2:45 and it got delivered within 3 hours,Never seen this any of the online flower websites.. It was a very nicely tied bouquet of 12 yellow long stemmed roses. I gifted it to my father on Father's day and was delivered on time. Awesome to gift somebody.